Precious frankincense oil has been used for centuries to soothe and beautify skin. 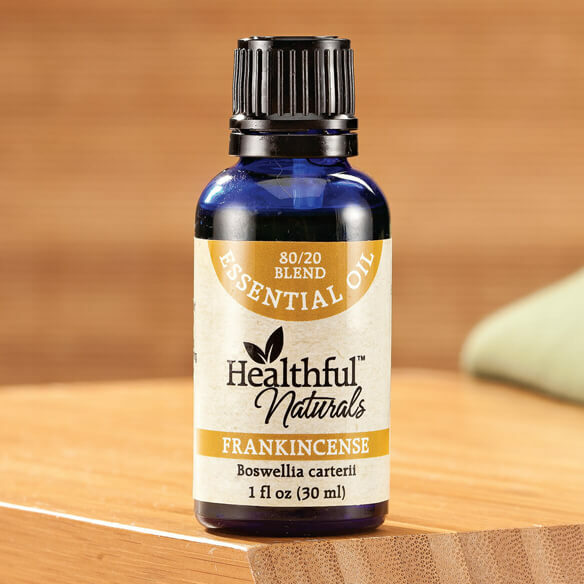 When inhaled or diffused, Healthful™ Naturals frankincense essential oil promotes feelings of relaxation and wellness. When diluted in carrier oil, it’s used to soothe inflamed skin, reduce the appearance of skin imperfections, and support a healthy immune system and cellular function. 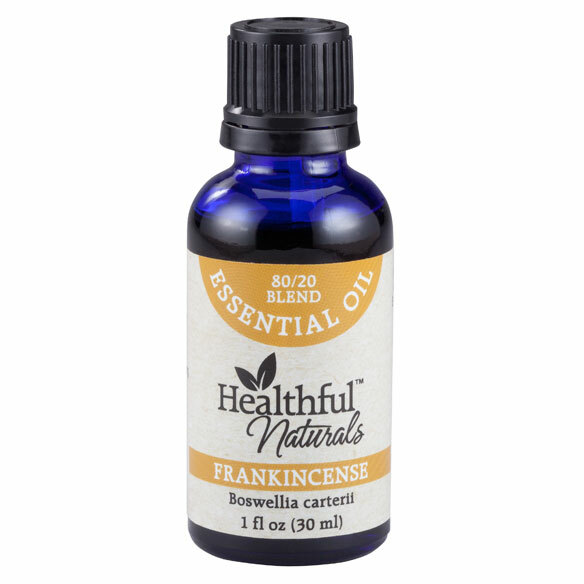 80% jojoba oil/20% frankincense essential oil is steam-distilled from the resin. Diffuse to promote peace, relaxation and satisfaction. Dilute in carrier oil to soothe and treat skin conditions. Aromatherapy oil can be applied to bottoms of feet to promote a positive mood. Fresh, woody, spicy, balsamic aroma. Perfect with our essential oil diffusers and humidifiers (sold separately). For topical use, first dilute in a carrier oil such as jojoba, coconut or olive oil. Essential oils are not to be ingested. For aromatherapy. Can be used diluted in carrier oil for topical use.